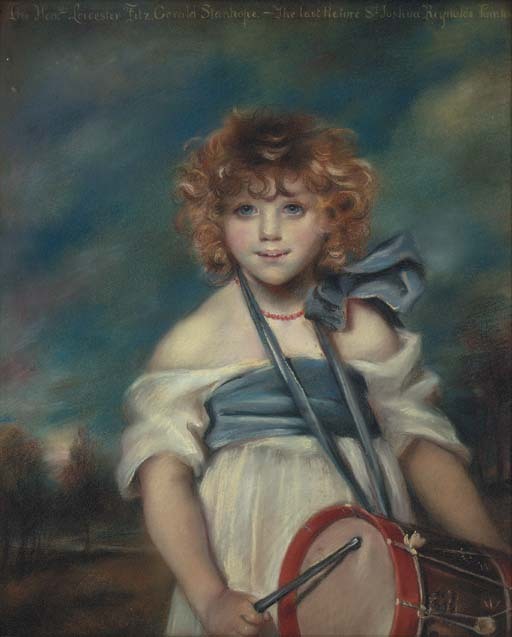 After Sir Joshua Reynolds, P.R.A. Painted in 1788. The Honourable Leicester Stanhope (1784-1862) 3rd son of Charles, 3rd Earl of Harrington, succeeded as 5th Earl, 1851. Wrongly stated in a later inscription on the picture to be the last portrait painted by Reynolds.